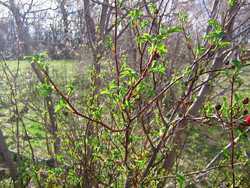 The leaves are just starting to come in on the bushes around here. Spring is here. Taken 4/16/2006.